Taking a punk-like approach to a mixture of Latin, rai, and folk music, Les Negresses Vertes create an infectious dance music. Initially comprised of family members, friends and lovers, Les Negresses Vertes has come a long way since their earliest performances. Although most members of the band didn't play an instrument until coming together in late-1987, the grown has continued to evolve into a very exciting ensemble. Les Negresses Vertes' climb to world-wide success has not come easy. On January 22, 1993, the group's lyricist, Noel Rota, best known as "Helno" and "Helno Rota De Lourcqua", died while attempting to overcome a serious drug addiction. Rota's twin brother, Ritter Thierry, continues to perform with Haine Et Ses Amours. 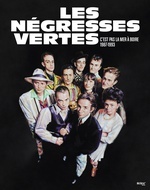 Since Rota's death, guitarist/vocalist Stefane Mellion and accordionist/vocalist Matthias Canavese, also known as "Canavese" and "Matias", have assumed his role in the front line of Les Negresses Vertes. A native of Algeria, Mellion has lived in Paris since the early-1980s. During the six years before the band was formed, he spent his summers working in his parent 's fishing net business and played with bands in Paris the rest of the year. The youngest member of Les Negresses Vertes, Canavese inherited much of his talent from his father, a laborer who became an entertainment promoter at the age of forty and now directs a circus school. Although he trained as an acrobat, he was forced to seek other avenues of expression following an accident. 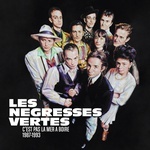 Other members of Les Negresses Vertes include guitarist, bassist and vocalist, Jean-Marie Paulus, trumpet and trombone player and vocalist Abraham Sirinix and pianist, guitarist and vocalist Jo Roz. 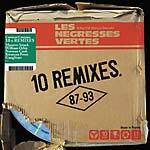 Les Negresses Vertes' retrospective C'est Pas La Mer A Boire (1987-1993) features the tracks "Voilà l'Eté", "Zobi La Mouche", "Sous Le Soleil De Bodega", "Face À La Mer, and more. 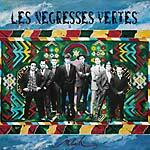 Taking a punk-like approach to a mixture of Latin, rai, and folk music, Les Negresses Vertes create an infectious dance music. 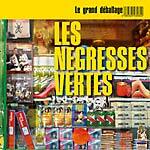 Initially comprised of family members, friends and lovers, Les Negresses Vertes have come a long way since their earliest performances. Although most members of the band didn't play an instrument until coming together in late 1987, the group evolved into a very exciting ensemble. Les Negresses Vertes' climb to world-wide success has not come easy. On January 22, 1993, the group's lyricist, Noel Rota, best known as "Helno" and "Helno Rota De Lourcqua," died while attempting to overcome a serious drug addiction. Rota's twin brother, Ritter/Thierry, continues to perform with Haine Et Ses Amours. Since Rota's death, guitarist/vocalist Stefane Mellino and accordionist/vocalist Matthias Canavese, also known as Canavese and Matias, have assumed his role in the front line of Les Negresses Vertes. A native of Algeria, Mellino has lived in Paris since the early 1980s. During the six years before the band was formed, he spent his summers working in his parent s' fishing net business and played with bands in Paris the rest of the year. The youngest member of Les Negresses Vertes, Canavese inherited much of his talent from his father, a laborer who became an entertainment promoter at the age of forty and now directs a circus school. Although he trained as an acrobat, he was forced to seek other avenues of expression following an accident. Other members of Les Negresses Vertes include guitarist, bassist and vocalist Jean-Marie Paulus, trumpet/trombone player and vocalist Abraham Sirinix, and pianist, guitarist and vocalist Jo Roz. 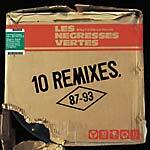 Because Music presents a reissue of Les Négresses Vertes's 10 Remixes (87-93), originally issued in 1993. Following the reissues of their four albums (BEC 5543327, BEC 5543328, BEC 5543329, BEC 5543329, BEC 5543330, BEC 5543331, BEC 5543333, 2018) French band and pioneers of the fusion of world and alternative music Les Négresses Vertes continue to celebrate the 30th anniversary of their first album Mlah (1989) with a new re-issue of their album 10 Remixes (87-93). 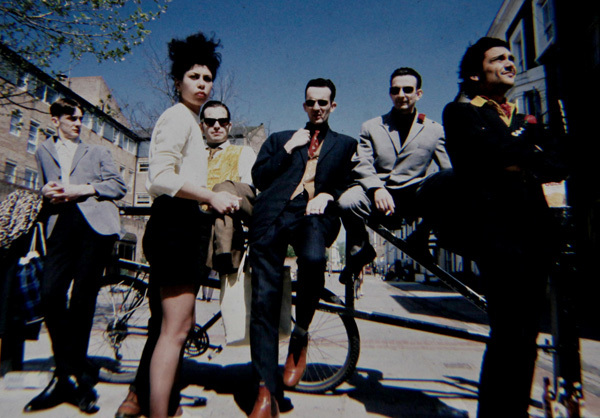 Repressed by Because Music, 10 Remixes (87-93) features remixes of their classics ("Sous Le Soleil De Bodega", "Voilà L'Eté", "Zobi La Mouche", etc.) by Massive Attack, Gang Starr, Clive Martin, Kwanzaa Posse, and more. Printed inner sleeves in sleeve with 5mm spine; CD included. 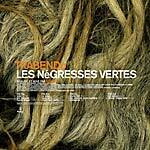 Because Music present a reissue of Les Négresses Vertes' 10 Remixes (87-93), originally released in 1993. Les Négresses Vertes was the biggest French act touring the world in the beginning of the '90s. 10 Remixes (87-93) features remixes by Massive Attack, Kwanzaa Posse, Clive Martin, Sodi, Gangstarr, Sodi, Norman Cook (Fatboy Slim), Andy Wright, and William Orbit. Includes four-page booklet. Because Music present three CD reissues of a legendary act -- a pioneer of the fusion of world and alternative music -- celebrating the 30th anniversary of their first release Mlah (BEC 5543328/5543329). 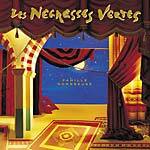 Because Music present a reissue of Les Négresses Vertes' Famille Nombreuse, originally released in 1991. Les Négresses Vertes was the biggest French act touring the world in the beginning of the '90s. Famille Nombreuse features the tracks "Le Soleil de Bodega", "Face A La Mer", "Famille Heureuse", and more. Includes 12-page booklet. Because Music present a reissue of Les Négresses Vertes' Famille Nombreuse, originally released in 1991. Les Négresses Vertes was the biggest French act touring the world in the beginning of the '90s. Famille Nombreuse features the tracks "Le Soleil de Bodega", "Face A La Mer", "Famille Heureuse", and more. Printed sleeve and printed inner-sleeve; Includes CD. Because Music present a reissue of Les Négresses Vertes' Mlah, originally released in 1989. Les Négresses Vertes was the biggest French act touring the world in the beginning of the '90s. Mlah features the tracks "Zobi La Mouche", "C'est Pas La Mer A Boire", "Voilà l'Eté", and more. Printed sleeve and printed inner-sleeve; Includes CD.